As strange as it may sound, there are many who are not aware that yesterday, today, and tomorrow, it's time for the Great American Beer Festival (GABF). Held every year in Denver Colorado, the GABF is the premier 'craft' beer event in the United States. This year at the festival, approximately 49,000 attendees will consume over 2,000 different beers, provided by 450 participating breweries. Those attendees will stand in long lines, they'll wait for small one-ounce pours, and —spoken from personal experience— they'll have a great time. They'll taste beers that they may never again have the opportunity to taste. They'll talk with the brewers who make those beers. They'll network (if they're in the beer business). They'll join in the fun at associated events and symposia. And they'll be awash in buzzed gemutlichkeit. Simultaneously, there's a blind judging of American beers in multiple style categories. Gold, silver, and bronze will be awarded in each. Many consumers and breweries consider an award here as recognition of a high level of achievement. It's not all 'beer and skittles', however. The Brewers Association’s cornerstone event well-serves the general public and generates a huge amount of revenue for the association itself, all while small craft brewers don’t get paid for their time or beer (still an issue for another article entirely). For a few days, however, we'll concentrate on the good, and celebrate the diversity and health of the American 'craft' brewery business and culture. If you're not in Denver and you'd like to follow along e-vicariously, read real-time posts at Twitter, or view photos at Flickr. Better yet, today, show your support for a brewery in your community. Buy a locally-brewed beer. 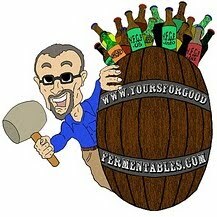 Maryland and Virginia breweries combine for 15 medals. Meeting the MD/VA winners in Virginia. Washington DC chef demonstrates Drunken Mussels. 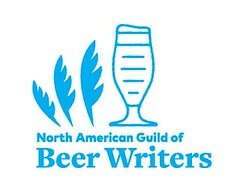 List of all GABF winners here (pdf file).